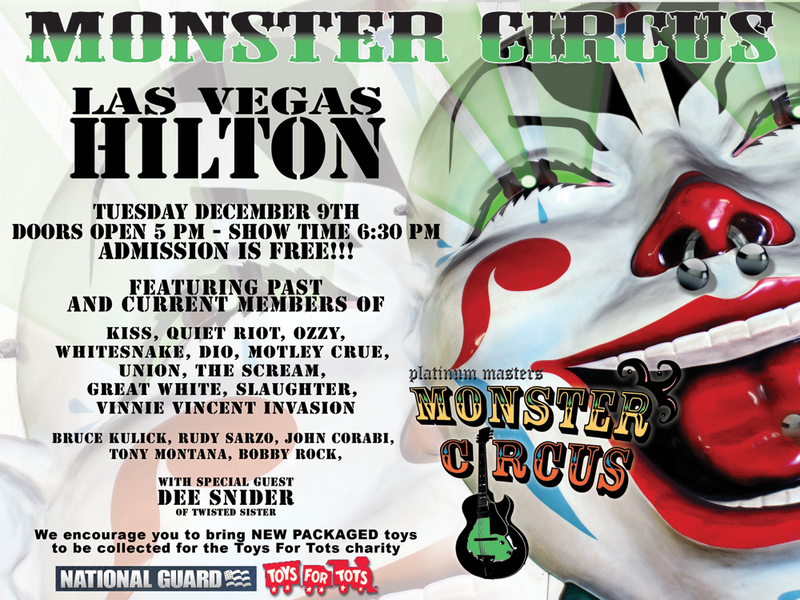 We booked Dee Snider to be the special guest in the all-star Monster Circus show at the Las Vegas Hilton December 2008. Dee returned to perform again March 2009. The cast included Rudy Sarzo (Quiet Riot Ozzy, Dio & Whitesnake), Bruce Kulick (Kiss), John Corabi (Motley Crue & Scream), Fred Coury (Cinderella) & Tony Montana (Great White).